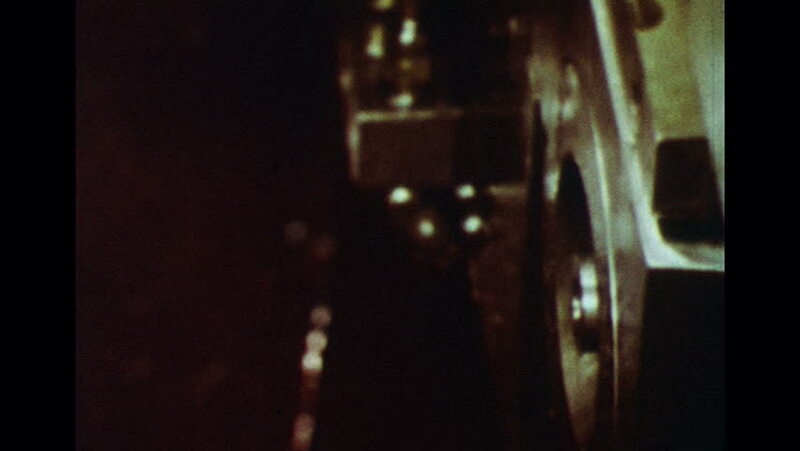 UNITED STATES 1960s: Slow motion close up pf machine forming ball stud bolts. Bolts on conveyor belt. Machine threads bolts. hd00:15UNITED STATES 1960s: Slow motion close up of machine threading screws.